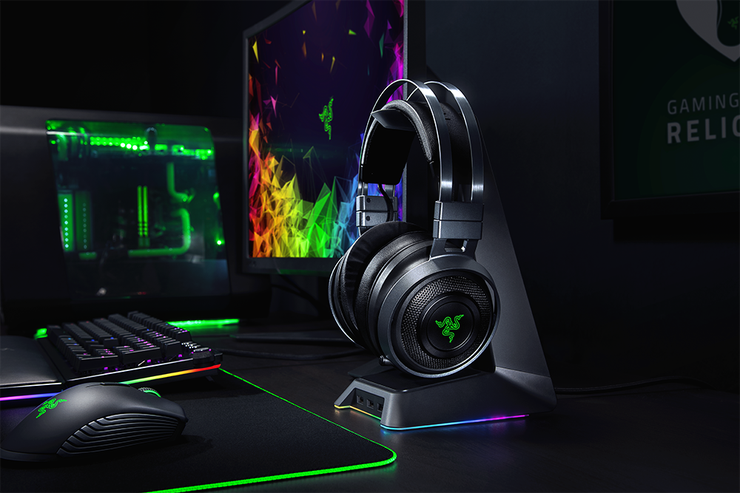 Razer has announced the Razer Nari Ultimate wireless gaming headset with Razer HyperSense. Razer HyperSense was developed together with Lofelt, a German engineering firm that specialises in creating haptic technologies for immersive experiences. “Lofelt is committed to raising the standard for haptic feedback to match the high-quality audio and video we’re used to in today’s devices.” said Daniel Büttner, CEO at Lofelt. The Nari Ultimate includes an auto-adjusting headband, swivelling ear cups and cooling gel ear cushions. The headset also utilises THX Spatial Audio that simulates 360-degree sound. The Nari Ultimate works in wired and wireless modes and is compatible for PC, Xbox, PlayStation, Nintendo Switch and mobile devices. “Razer consistently creates products with innovative technology to give gamers the best gaming experience possible,” said Min-Liang Tan, Razer Co-Founder and CEO. In Australia, the Razer Nari Ultimate is available for $349.95, the Razer Nari is available for $249.95 and the Razer Nari Essential is available for $169.95. For more information, visit https://www.razer.com/gaming-audio/razer-nari-ultimate.